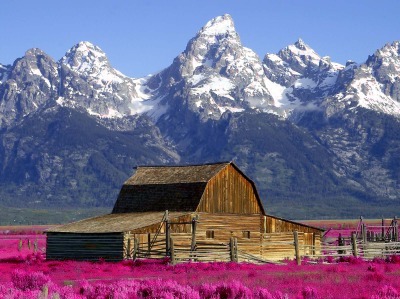 Changes brightness, saturation and/or hue for any primary or secondary color in an image. ..................... degrees or 0<=flaot<=50 percent; default=30 degrees. PURPOSE: To change brightness, saturation and/or hue for any primary or secondary color in an image. DESCRIPTION: MODULATECOLOR2 changes the brightness and/or saturation and/or hue for any primary or secondary color in an image. Hues are arranged in a cyclical order in the range 0 to 100 percent or 0 to 360 degrees. Hue may be changed any amount in those ranges per the units specified. The colors allowed are: red, yellow, green, cyan, blue and magenta. 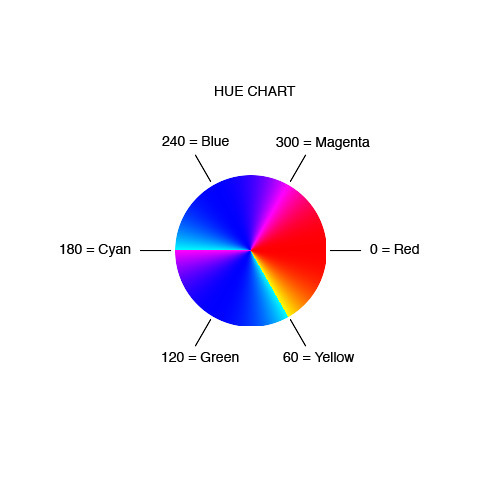 Units for hue may be either percent or degrees. -c color ... COLOR to modify. The choices are: red (r), yellow (y), green (g), cyan (c), blue (b) or magenta (m). The default=red. -b brightness ... BRIGHTNESS is the absolute percent brightness. Values are floats>=0. The default=100 (no change). -s saturation ... SATURATION is the absolute percent saturation. Values are floats>=0. The default=100 (no change). -u units ... UNITS for hue. Choices are: percent (p) or degrees (d). The default=degrees. -m mode ... MODE for hue values. The choices are: relative (r) or absolute (a). Relative means the replacement hue value will be a shift relative to the specified color. 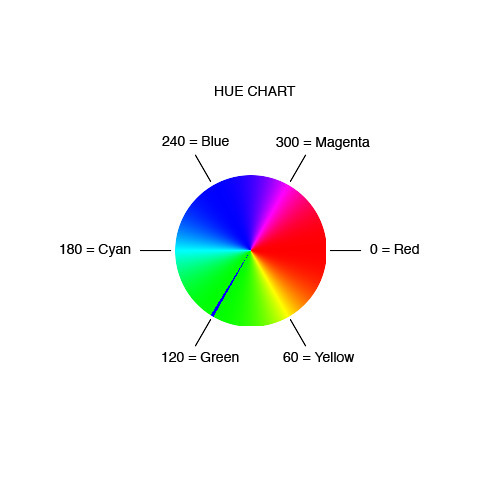 Absolute means the hue value will be the exact hue value that will be used to replace the specified color. The default=absolute. -t tolerance ... TOLERANCE (fuzz value) on each side of the specified color for the range of the hue change as specified by the selected units. Values are 0<=float<=180 for degrees or 0<=flaot<=50 for percent. The default=30 degrees. Note that tolerance less than about 0.1 degree do not work well. -r ramping ... RAMPING (tapering) of the new hue in the form of a Gaussian rolloff. The value is the Gaussian sigma in the specified units. Values are floats>=0. The default=0 (no ramping). -h hue ... HUE is the absolute hue value to be used to replace the hue of the specified color. Values are 0<=floats<=100 for percent or 0<=floats<=360 for degrees. The default=0 (red stays red). 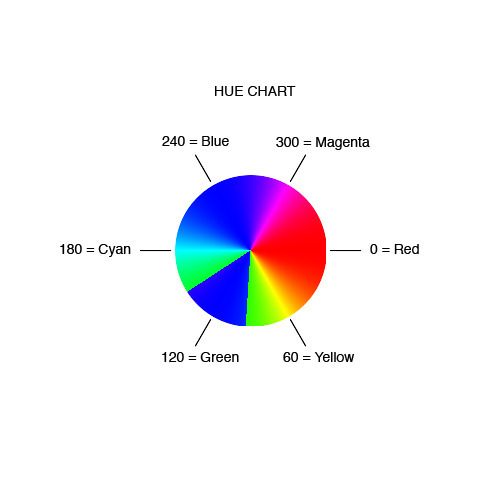 Hue change is cyclical in the range from 0 to either 100 percent or 360 degrees. 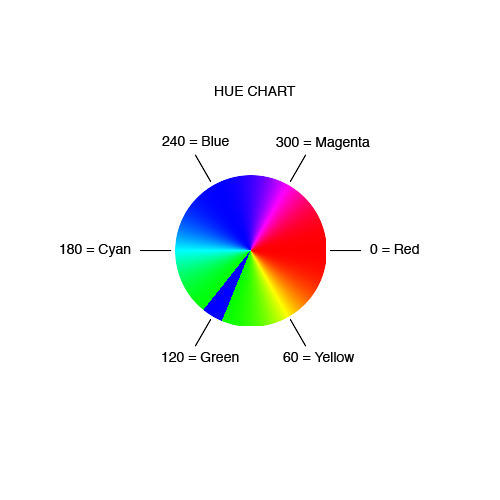 So a hue value of 100 percent or 360 degrees is equivalent to 0 or no change. -C colorspace ... COLORSPACE is the colorspace in which to modulate the image. The choices are: HSL or HCLp. REQUIREMENTS: IM 6.5.3-7 so that -modulate uses HSL and not HSB colorspace. HCLp modulation is available as of version 6.8.6-7. This is equivalent to the following IM commands for the case of color=green, units=degrees and mode=absolute.